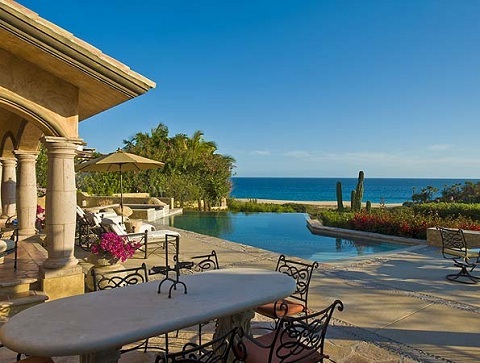 While Los Cabos is well known for its over-the-top luxury resorts catering to Hollywood’s elite, Cabo vacation villa rentals offer another wonderfully inviting way for visitors to enjoy this destination. 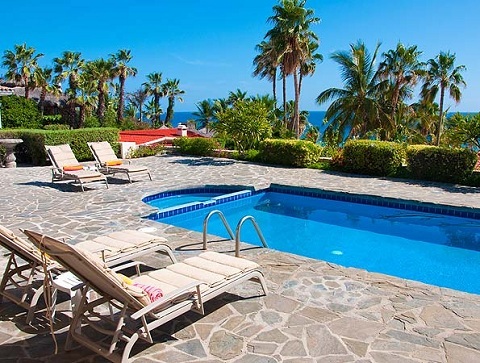 Offering the perks of privacy and value for groups (perfect for special events and destination weddings), more and more travelers are discovering that a villa vacation can be an affordable and unique alternative to the traditional resort getaway in Cabo. Boasting a variety of scenic locations throughout Los Cabos, from exclusive gated communities to serene beachfront settings, there’s a perfect villa rental for any group. 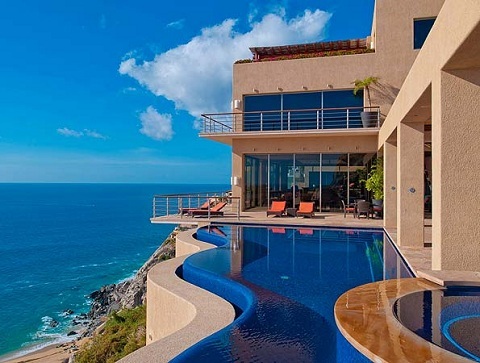 Whether you’re looking for tranquility, convenience to downtown Cabo San Lucas, a comfortable family setting or a fabulous oceanfront mansion, there’s a villa to match any vacation vision and budget. Villas also offer a range of unique amenities, including private ocean-view swimming pools, gourmet kitchens, putting greens, theater and game rooms, outdoor dining areas and spacious suites. 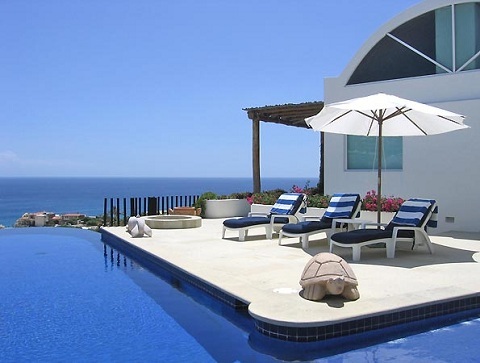 In other words, the exceptional variety of vacation rentals in Cabo means you can avoid the “one-size-fits-all” vacation and personalizing your getaway is a breeze. Ideal for families, groups and special celebrations, villas are often surprisingly competitive in pricing (or even more affordable) with comparable resort stays. Plus, you can enjoy extra savings by preparing your own meals in your villa’s kitchen or outdoor grill. Another perk is that there’s no worrying about annoying hotel guests when you’re enjoying your own private sanctuary. If you’re worried about missing out on resort “extras” like gourmet dining and spa treatments, rest assured that you can treat yourself to all the frills when staying in a resort. Private chef services and mobile spa treatments mean you can enjoy outstanding dining and soothing massages, facials and pedicures right in the comfort and privacy of your villa. Also, if you’re planning a party, a full team of catering and event coordinators can make organizing a breeze. If you’ve thought a villa vacation was out of reach, think again! Rates start as low as $280/nt for 2 bedrooms. You might just find that a villa sets the stage for an unforgettable retreat so, in lieu of the traditional resort, think about renting a villa for your next trip to Cabo San Lucas. Julie Byrd is the Director of Sales for Cabo Villas where she tailors each guest’s vacation experience to match their personal vision and taste. 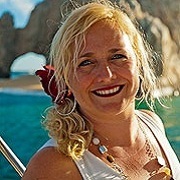 Over 25 years specializing in Cabo San Lucas, Julie has the expertise and relationships with vendors to meet each of her client’s unique needs.